Sometimes as a blogger, I get to meet amazing and inspiring people. Back in 2010 when I worked on the Goodall’s Modern Irish Cookbook, I met a few dozen such individuals who continue to inspire me with their work. 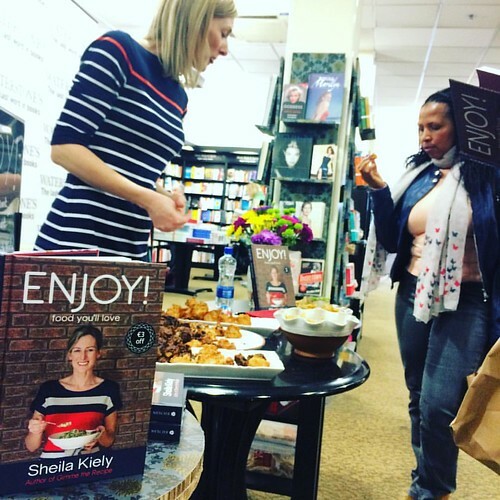 One such person was Sheila Kiely who was just beginning her work on her premiere cookbook, Gimme The Recipe. Now, she is celebrating the release of her second book, Enjoy! Food You’ll Love. And I was delighted for the chance to be there to cheer her on since she was enthusiastically present for my Bake Knit Sew launch in 2014. 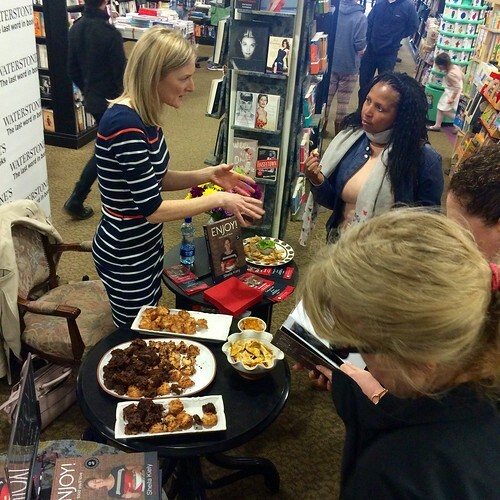 I attended her Cork City centre book launch on April 9th. 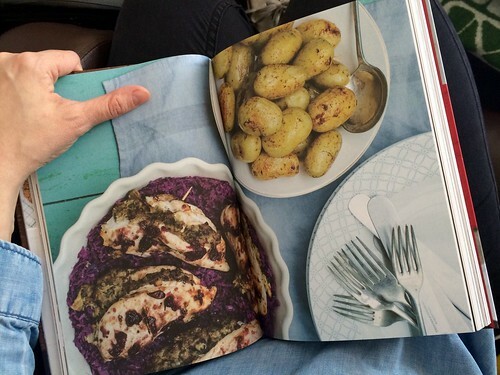 I was impressed by the selection of recipes she prepared from her book. From sweets to savouries, the options were proof that this book wasn’t just for special roast dinners or once-in-a-while cakes – this was a cookbook for everyday life, from sumptuous weeknight dinners with the family to sitting around with friends and a bottle of wine on a Saturday night. Needless to say, I bought the book! Sheila inscribed it too. Once I returned home, I read through the recipe selections within its pages and was suitably impressed with the variety. I’ve snapped a few photos of a few that popped out as ones I will be making very VERY soon. Homemade granola? Yes, please! I’ve tried to make it before, and failed. 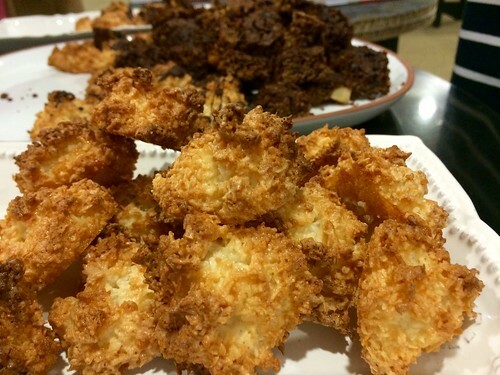 It just wasn’t well-rounded, but this recipe showed me what I may have done wrong in my attempts and the photo looks like what would get me out of bed in the morning. One of my favorite luxuries in the world is a big bowl of pasta. This recipe has vegetables and chicken too for a one-dish meal. 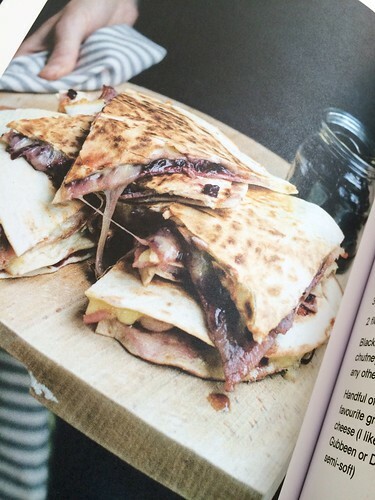 I can see what I’ll be making one weeknight next week! 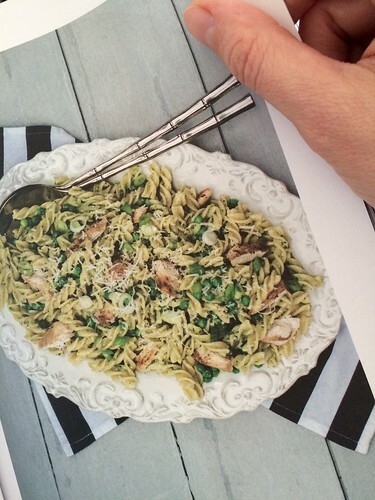 The food styling and photography in this book are stellar. The talented Jette Virdi handled the styling, while Marta Miklinska photographed the food and Sheila to grace the pages. The subtle and classic graphic design is a credit to Sarah O’Flaherty. And, of course, because she’s the best of the best Kristin Jensen (whom I also met through the Goodall’s book and hired as editor of Bake Knit Sew) was part of the editing process, along with Wendy Logue. The layers, texture, and composition of the photos brings out the best of these dishes and makes you wish you could reach through the page for just one bite. 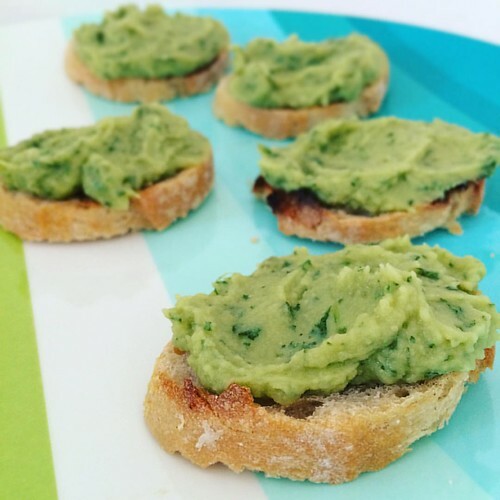 The first recipe I wanted to make was the Pea & Garlic Crostini. 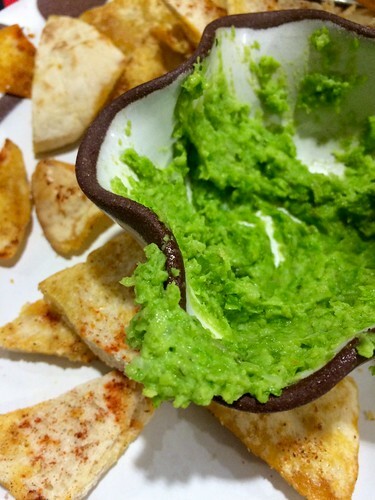 I tried it at the launch event (the green dip shown above) and really enjoyed the fresh vegetable flavor. I love my vegetables! So, I got the ingredients and my son and I went to work on the recipe. Less than an hour later, it was all done, I was sitting with my knitting, and I had a large batch stored in the fridge. I packed some in my lunchbox for work the next day to spread atop sourdough baguette slices. It was delectable and refreshing. 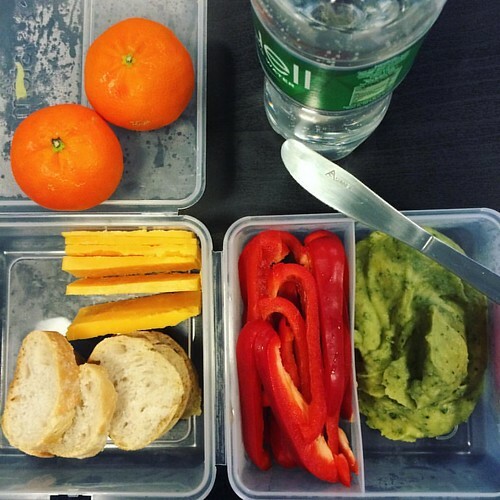 Much less guilt than some of the lunches I’ve eaten in the past that didn’t count towards one of my five-a-day fruits or vegetables. Here they are basking in the sunshine. One last look because these are seriously going to become your new favorite appetiser for dinner parties and having friends over. 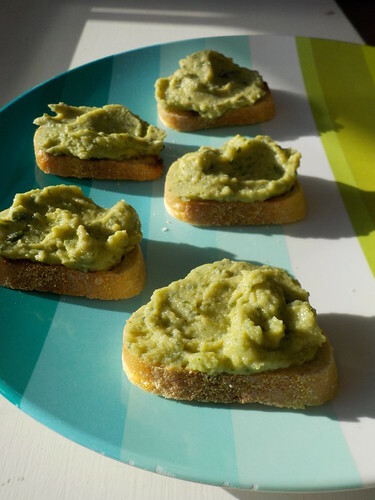 It has the ease and texture of hummus, but with a sweet pea flavor and doesn’t adhere itself to the roof of your mouth like chick peas. 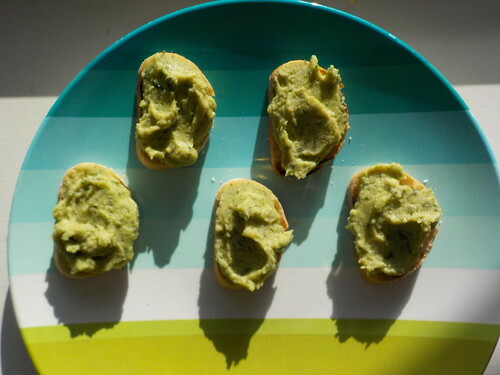 I am an instant fan of Sheila’s Pea & Garlic Crostini recipe and if it is any indication of the rest of the contents of Enjoy!, I am delighted to own this beautiful and thoughtfully written recipe book. You know who else I was fortunate to be featured with in the 2010 Goodall’s Modern Irish Cookbook? Jeni Pim, Avril Alshire-Howe, Fiona Dillon, Marian Hearne, Kate Lawlor of Fenn’s Quay Restaurant, and so many more. What an amazing group of food bloggers (and now authors) we were! Oh, and that book won the Gourmand Awards which makes me quite proud since I did the layout and some food styling/photography for it! 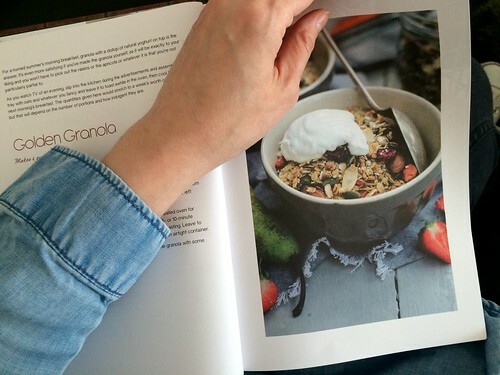 What is the first thing you look for in a go-to recipe book? 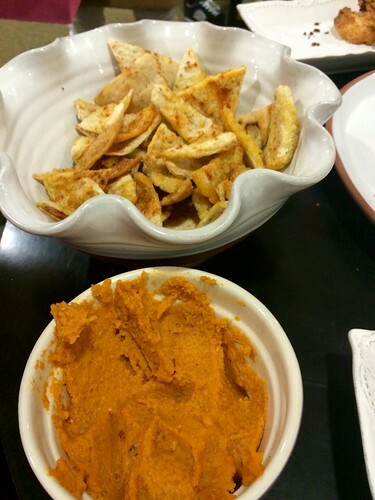 This entry was posted in Books | Read, Nourish and tagged cookbook. Pasta because two around our table default to pasta. When I read a cookbook, my first order of business is to make sure none of the foods are on my allergy list. Then to find the ingredients at my local supermarket. Time of prep & cooking. I don’t mind a long prep or cooking time if it is a dish that I can prepare over the weekend and then package for lunches.